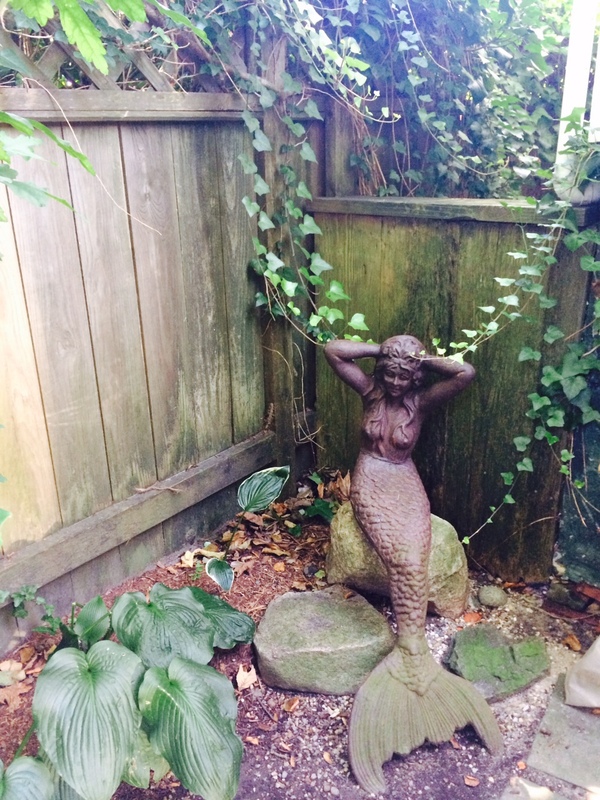 To shower outdoors is one of the most sublime simple pleasures of my life. I’ve been known to say I hate showering, and all the work that goes into reinstating ones appearance after a proper dousing. It would be more accurate to say that showering indoors just seems like too much work. 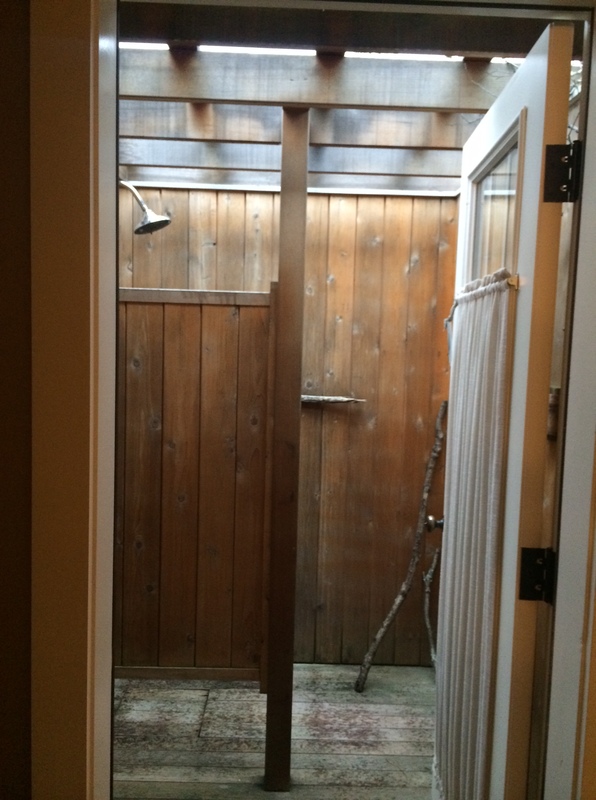 I look forward to my first outdoor shower of the season. Since the plumbing is exposed to the elements, it’s necessary to shut the water off sometime in October and then the long slog through winter ensues before the tap is turned in May and all is right with the world again. Both cool months in New England, May and October. Those early and late month showers feel like a Russian steam bath, billowing clouds rising up into the air, skin turning pink from the heat and the cold, one knows instinctively what a healthy and revitalizing experience it is. Spring rolls into summer, the tap turns from hot to cool water, soothing my sun parched skin, and washing away the sun screen, sand and sweat of the day. Light filtering through the trees and wind rustling the leaves, birds chirping, it’s an awakening. It is spiritual, it is splendidly freeing. The showers of my youth were simply constructed – four walls, a wood slat floor, a small shelf to hold the soap and shampoo, maybe a tiny mirror, their rustic nature part of their charm. 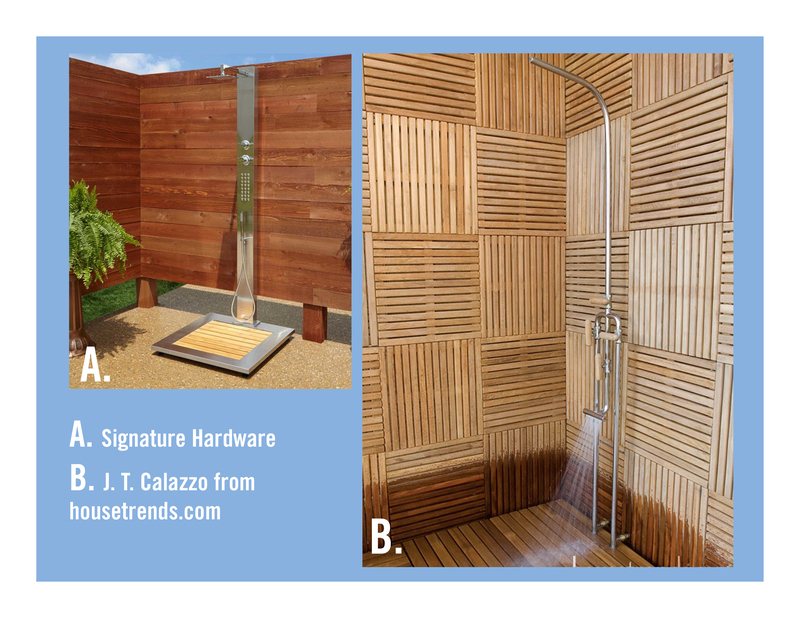 There are of course outdoor showers that are much fancier. Calazzo, Signature Hardware, and Orvis all offer panel systems that are sleek chic. Me, I’ll take an exposed pipe and ’70’s shower head any old summer day. Nostalgia trumps luxury. I’ll ruminate on that until next season.